With just three words, Pittsburgh was thrust into the center of the global climate fight, as President Trump announced his decision to withdraw the U.S. from the Paris Agreement, stating that he was elected to represent the citizens of "Pittsburgh, not Paris." Climate Reality: Pittsburgh & SWPA is a community of concerned Southwestern Pennsylvania citizens and neighbors who are addressing the climate crisis in our own backyard. We couldn't be any more proud that Mayor William Peduto has reaffirmed Pittsburgh’s support for the monumental Paris Agreement and pledged that Pittsburgh will be 100 percent renewable by 2035 with or without the support of the president. What is critical in making a sustainable future a reality is support from local citizens like you to drive progress, to make sure goals are met, and that people at every level of society are held accountable. 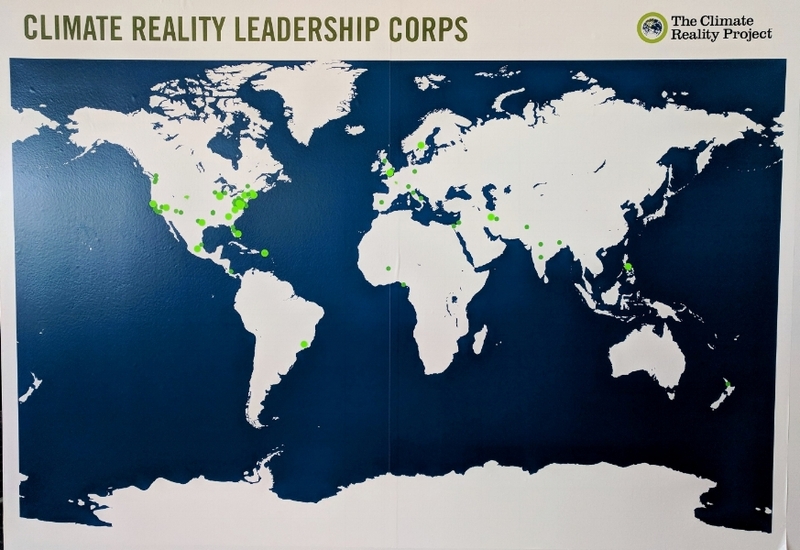 In October 2017, Pittsburgh welcomed The Climate Reality Leadership Corps's largest training to date, as more than 1,300 climate trainees from 130+ countries arrived in our city for the three-day event lead by Former Vice President Al Gore, leading environmental scientists, and professional communicators. Trainees upped their knowledge of the science behind the climate crisis and mastered the art of engaging, empowering, and inspiring audiences everywhere to join in our demand for action. Many of us are those trainees - now fully certified Climate Reality Leaders and united together in Southwestern Pennsylvania - and we're more prepared than ever to demand that policymakers leave dirty fossil fuels behind. Chapter membership is free,nonpartisan, and welcomes all interested members of the community. We must seize the potential of clean energy to power our lives safely and sustainably today. We do not have the luxury of time. We know we must change and leave fossil fuels like coal and natural gas behind. We already see clean energy technologies creating jobs and powering a thriving economy in Pittsburgh & Southwestern Pennsylvania, so we know we can change. And with more committed citizens joining us by the day to fight for the future we want, we know we will change. The chapter's first ever Leadership Committee was elected in January 2018 to serve through January 2019. Larry Schweiger is the president emeritus and past CEO of PennFuture. For ten years prior, he was the president and chief executive officer of the 4.5-million-member National Wildlife Federation. Under Larry’s leadership, fighting climate change became the Federation’s top priority. Collaborating with the late Senator John Heinz, Larry played a critical role in the passage of the 1990 Clean Air Act amendments to curb acid rain through a cap and trade strategy. His tenure at the Federation was marked by his determined efforts to safeguard the nation’s wildlife against climate change and other ecological threats. He spent thirty days on the Gulf of Mexico in the middle of the BP spill helping to get the story of America’s largest oil spill to the public and later successfully promoted the Restore Act to use 80 percent of the BP penalty funds to restore the Gulf Coast. The Blue Green Alliance presented Larry with their “Right Stuff” Award for his leadership on the auto efficiency rules. His book, Last Chance: Preserving Life on Earth, won first prize for nonfiction and first prize for science at the Indie Book Awards in 2011. Larry is the founding chairman of the National Institute for Conservation Leadership an organization dedicated to strengthening volunteer leadership. Larry also worked with Former Vice President Al Gore to launch Climate Reality and currently serves on the CR board and as Chair of Climate Reality Action Fund. Larry also acted as the founding executive director of the Friends of Gettysburg National Parks. I was fortunate to grow up surrounded by the beauty of our natural environment, from the mountains of western Pennsylvania to summers at the Jersey Shore. This passion informed my engagement through the years as an advocate for environment issues both as a volunteer and now professionally. I am currently Communications Manager for the Breathe Project in Pittsburgh, an organization comprised of 25 environmental organizations in SWPA working to improve regional air quality. In this role, I work directly with local environmental advocates on campaigns, creating communications and messaging around these campaigns. I’ve worked as a daily newspaper reporter and freelance journalist for more than 25 years, was the founding associate editor of NEXTpittsburgh and have been a frequent contributor to Pittsburgh Magazine and Crain’s Pittsburgh. My work has appeared in Fast Company, OZY, The Washington Post and Time-Life Books. Marcel Minutolo has been an entrepreneur and a business development consultant for over 25 years. He is currently an Associate Professor of Strategic Management in the School of Business at Robert Morris University where he teaches graduate and undergraduate courses in strategic management, entrepreneurship, sustainability and corporate social responsibility. He currently sits on the board of directors for Adagio Health as the Vice-Chair of the Board; the Military Affairs Council of Western Pennsylvania as the Chairman; and, the Veterans Leadership Program of Western Pennsylvania and is the Secretary of the Board. He is the President and Co-Founder of Peritia, LLC. which assists firms in overcoming organizational challenges by adding flexible executive capacity. He has an earned Doctorate of Philosophy in Business Strategy with a minor in Artificial Intelligence from the University of Pittsburgh. 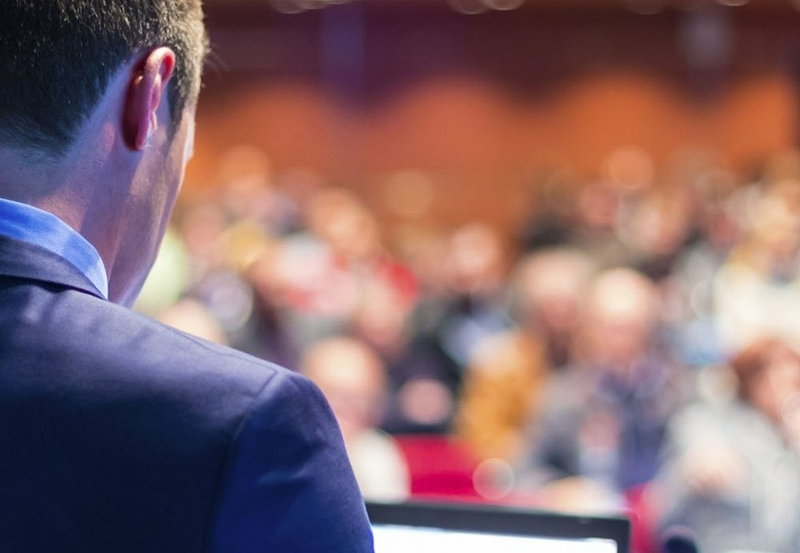 He has taught course at both the graduate and undergraduate levels in strategy, finance, and decision making. He has been invited to teach and lecture in Chile, Taiwan, and Tajikistan. He has publications on technology transfer, mergers and acquisitions, strategic management, sustainability, human resources, and decision making. He has consulted with firms on economic impact studies, negotiation of test service agreements, business development plans, and various funding mechanisms with the Federal Laboratory systems. He has conducted research studies for the United Way of Allegheny County, led the strategic planning process for nonprofit firms and local municipalities, and has been a partner with Just Harvest. He is a former military intelligence company commander with multiple deployments. Erin loves the quiet of falling snow on forests, the stream as it sings, and the laugh of her child on her bike. Erin grew up at the base of Chestnut Ridge where her family cross country skied, biked, and camped. Those moments as a kid have led to deep love of wild places. Erin firmly believes in protecting this region – with its rivers, parks, and countryside - and vowing to improve it for future generations. Erin’s studies took her to explore rural Pennsylvania and achieve her Bachelor of Science in Ecological and Political Science and Vermont for her Masters of Science in Forest Ecology. 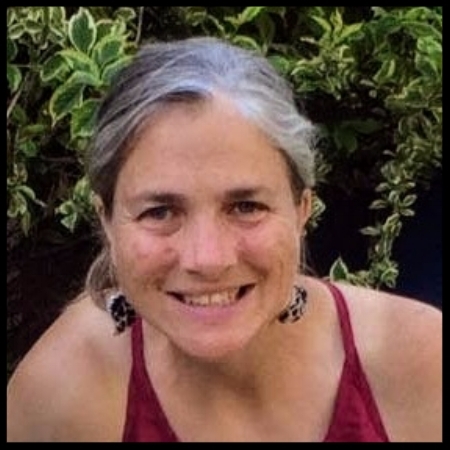 For the last decade Erin has been with the Pittsburgh Parks Conservancy as the Senior Restoration Ecologist completing watershed planning and improvement, and ecological restoration programs such as the Panther Hollow Watershed Restoration. Specifically, this has entailed collaborating with her colleagues and partners for an improved park system through forest restoration, built and natural green infrastructure installation, and understanding their efficacy. Lately, what has made her smile is seeing the growth of the urban forests and meadows that she and her colleagues seeded a decade ago. These new ecosystems are necessary for us as humans; they filter air, store carbon AND have been proven to make us joyful! Perry has been a Climate Reality presenter and leader since 2006, and a mentor since 2013. He has also been a member of the Citizens' Climate Lobby since 2010. Perry lived in the City of Pittsburgh from 1978 - 1996, and in South Hills since 2015. He grew up in small-town-suburb of Chicago -- Lansing, IL. Perry majored in philosophy at Trinity Christian College (1966-1971) and studied history of science and western civilization in Toronto Canada (1971-77) earning a M.Phil degree. Perry translated first party platform of the CDA, Netherlands into English (Not By Bread Alone (1978) and worked in campus ministry. Perry continued his graduate studies in Pittsburgh earning a Master of Library Science degree in 1986 followed by serving as a librarian for Semester at Sea in the spring of 1988. He continued to read and study information theory while working in academic libraries in Pittsburgh and City Colleges of Chicago, IL until 2015 when he retired from library work and moved to Jefferson Hills, PA and enrolled in the Osher Program at the University of Pittsburgh. 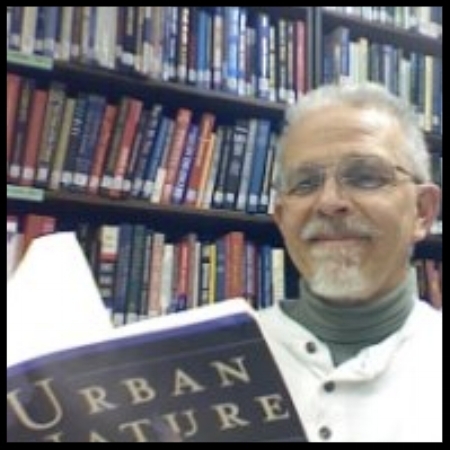 Today, Perry is enjoying his retirement as a self-employed library and information research consultant and as a Treekeeper (IL) and Tree Tender (Pittsburgh area). He has served as a member of the board and as a volunteer coordinator for the A.W. Robertson Arboretum in Pleasant Hills, PA since 2016. Growing up, Laura Micco never played inside not when there were acres and acres of woods surrounding her family's house in rural Ohio. That's how she first became connected to the natural world. For the last eight years, she's helped children make their own discoveries about nature and ecology as an educator at the Environmental Charter School (ECS) adjacent to Pittsburgh's Frick Park, where she's taught environmental science at every grade level, kindergarten through eighth grade. Today, Micco supports ECS teachers as an instructional coach, a role that earned the extrovert a 2016 Carnegie Science Award. Among her accomplishments: working with teachers to develop project-based, integrated science, technology, engineering, arts, and math (STEAM) lessons, and a Get Outside campaign that inspired her peers to log more than 1,500 outdoor experiences with students in a single school year. Greetings! My name is Lauren and I am born and raised in Pittsburgh. I received my bachelor's degree from IUP and my Master of Education from Edinboro (near Erie, Pa). For the past 8 years, I have worked in the field of education. While the bulk of my experience lies in k/1 science education, I have also taught outdoor and environmental education to children in grades 4-8, and have a deep passion for this type of work. I feel fortunate to work at the Environmental Charter School where I am given full creative freedom over my curriculum, and have worked hard throughout the years to instill in my students positive attitudes toward the environment, critical thinking skills, and confidence to follow their passions. 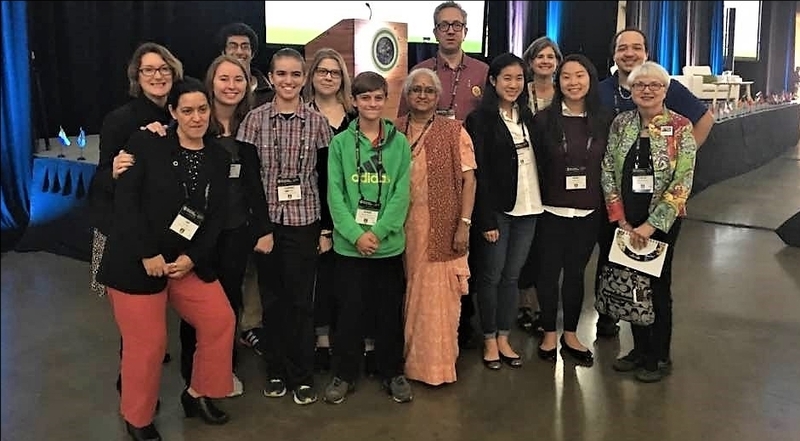 I am eager to utilize the knowledge I gained from the Climate Reality Leadership Training to positively influence members of our school community and greater Pittsburgh Community to take action on Climate Change! Greetings, my name is Jason and I graduated from Slippery Rock University with a double major in Sustainable Management and Business Management. I was diagnosed with Multiple Sclerosis in May 2018 which became a huge motivator and is pushing me to pursue the things in life that are most important to me. Shortly after being diagnosed I applied for and was selected to join Sir Robert Swan, OBE along with 90 other young leaders from 25 different countries on an international expedition to the Arctic which will begin on June 15, 2019. I will take part in the Leadership on the Edge Program which consists of a blend of leadership development, up-to-date climate change training, and sustainability education. My goal for this this trip is to gain the necessary skills needed to become a change leader in the Pittsburgh area. I am very eager to be a part of The Climate Reality Project and have a platform to influence the greater Pittsburgh area to act on Climate Change! In 2006, Nobel Laureate and former US Vice President Al Gore got the world talking about climate change with the Academy Award-winning film, An Inconvenient Truth. It was just the beginning of a climate revolution, and later that year, he founded The Climate Reality Project to move the conversation forward and turn awareness into action. The Climate Reality Project works to accelerate the global transition to clean energy and to help create a sustainable future by mobilizing volunteers and communities via four key programs. Climate Reality Leaders are regular citizens from all walks of life concerned about the climate crisis and committed to taking action to solve it. Leaders attend a multi-day training where they attend sessions with Vice President Gore and a host of other field-leading experts, gaining the organizing and communications skills to mobilize their communities to act. Find out how you can become a Climate Reality Leader. Climate Reality Chapters bring the global success of the Climate Reality Leadership Corps to the local level, uniting Climate Reality Leaders, community members, and fellow climate and sustainability partners around meaningful action at the front lines of the climate movement. This joining of local forces enables the development of effective local campaigns and initiatives through shared expertise, resources, and strategic know-how. Climate Reality: Pittsburgh & SWPA is among the first Climate Reality Chapters. Campus Corps empowers college and university students to form Climate Reality chapters at their respective institutions of higher education across the country and help educated and assist their schools in making a transition to 100-percent renewable energy source. Climate Speakers Network empowers faith, business, and cultural community leaders to act as trusted messengers on climate and build a more diverse movement via outreach to key groups that have the potential to make a big difference in the fight against climate change. Looking Forward to a Sustainable Future in Pittsburgh & Southwestern Pennsylvania?